Brad Richards is frankly just kind of excited the team is letting him play this season. Minus 8 on the season, obviously not a team guy. Mats Zuccarello is pretty much despised in his native Norway. Martin St. Louis is an angry little elf. Dan Girardi orders his Italian hoagies with mayo (srsly wtf). Do you take regional rail? Have you ever seen those a-hole dudes who bum rush the doors and cut in front of women and senior citizens? Derick Brassard taught them that. Rick Nash leaves his cart in front of the egg door at Wegman’s and wanders over to shop the pasta aisle. Henrik Lundqvist has a really qvick glove hand. Qvite possibly the best goaltender in Rangers history. Media loves him- very qvotable. Brian Boyle is 6’7” and can’t even dunk a mini ball. Benoit Pouliot’s nickname in the locker room is “Toilet Water”. Dominic Moore played one of the hobbits in the Lord Of The Rings trilogy true story. Carl Hagelin owns three hair straighteners. Raphael Diaz thinks it’s funny to walk around after games in his Ninja Turtle pajamas but doesn’t realize it creeps everyone out. Except for Cam Talbot who thinks it’s adorable. Jesper Fast actually skates like he has cinderblocks on his feet. 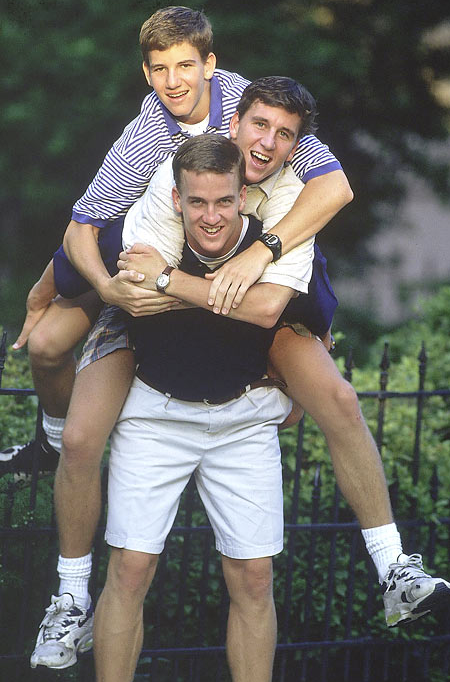 Marc Staal and Cooper Manning are Facebook friends. Ryan McDonagh annoyed everyone in Sochi by continuously asking people “How about these temperatures huh what is this the Summer Olympics? !” He went so far as to learn how to ask that in multiple languages and is currently banned from Russia. John Moore has a secret password for entry into Madison Square Garden because security never believes he is actually on the team. Anton Stralman drinks Skinny Girl Margaritas. Dan Carcillo once lost a fight to a guy on rollerblades at a charity hockey event. 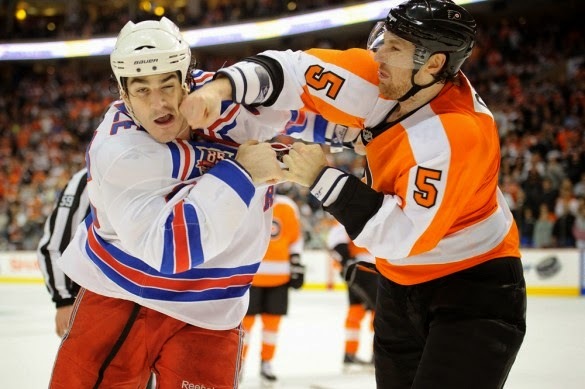 The guy was outside exercising when Carcillo was ejected from the game and the fight occurred in the parking lot. Derek Dorsett (God, how many Dereks are on this team?) ties Chris Kreider’s skates before every game because Kreider can’t get them tight enough. Well, there you have it. I think that's most of the Rangers, and for the ones I forgot you guys stink anyway so who cares. i was going to say attention whores but...anyways you guys are the Kirsti Alley of um whores.